Its been almost 4 years since Barbeque Nation started its operations in Jaipur. 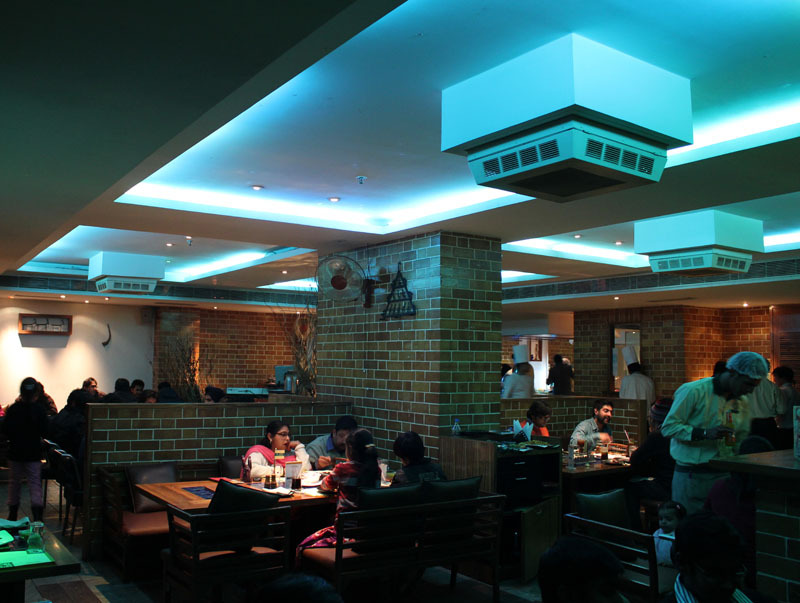 A restaurant that started with the innovative concept of Live grill for the first time in India, took some time to find its bearing in Jaipur. 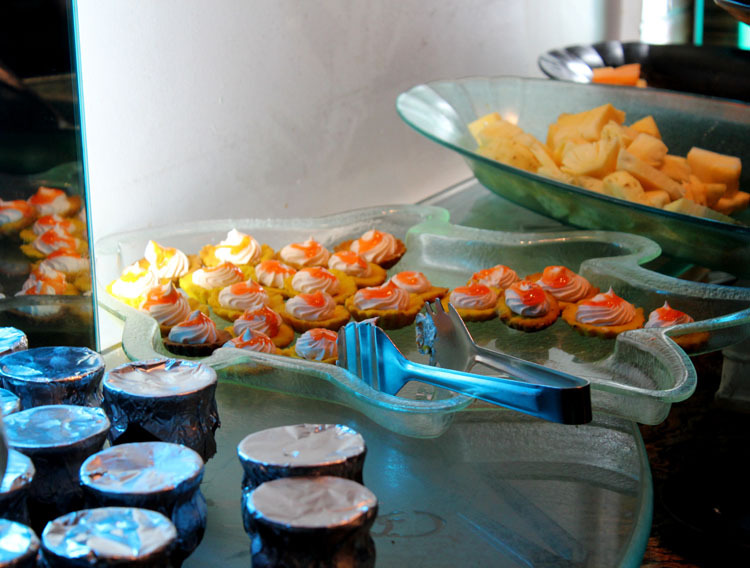 The concept of unlimited veg and non-veg starters, lavish buffet with salads and deserts was indeed a new one for Jaipur. It took Jaipurites some time to shower their appreciation to Barbeque Nation but today it is one of the most preferred destination in Pink City. We at Jaipur Beat decided to visit the place on Tuesday to avoid rush. We arrived at 8.15 PM and was lucky enough to get a table ( we were eight pax). The restaurant was almost 80% full which was quite surprising for a Tuesday. Barbeque Nation started with a concept of free welcome drink in Jaipur that included Beer as well. This scheme was then discontinued on weekends and was valid only on weekdays (Monday to Thrusday). We were told that the scheme is withdrawn totally for alchoholic drinks now, clear indication the restaurant is doing well even with out it. Interior of the place is soothing giving a touch of European country style that blends well for savoring hot barbeques. 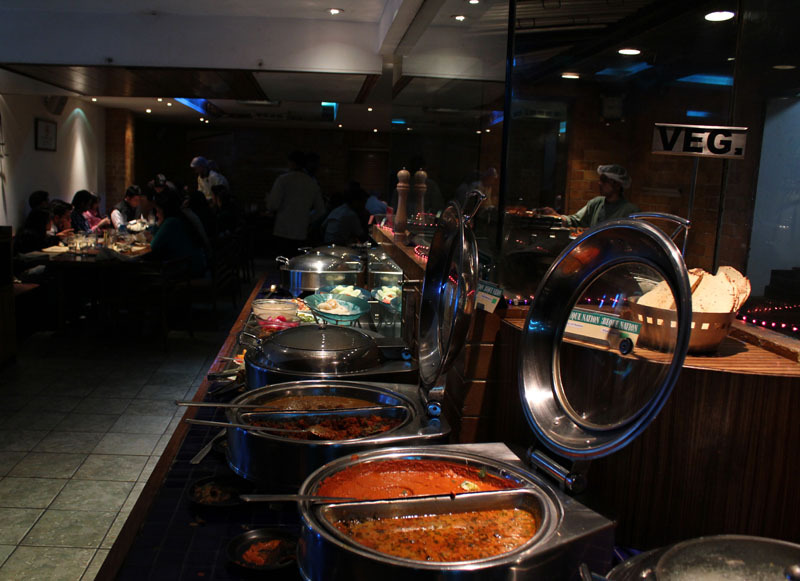 The live grill was set up and the choice varied from Chicken to prawns in Non-veg and for vegetarians, it offered grilled potato, mushroom, pinapple, Malai tikka, soya patties, panner and crispy corns. I must say that Veg starters were really delicious. The preparation for the Non-veg starters was mix bag with chicken legs, seekh kebabs and prawns being cooked well. However the garlic chicken and fish was disappointing. There was definite gap in the service of these starters and at one time we have to wait for 5-7 minutes for refill. Ordering an alcoholic drink was also not so easy. At the higher end Jack Daniels was not available and at lower end Old Monk was not available. Both were mentioned in their Menu. The main course had lots of option. On Veg they served Maa Ki Daal (most ordinary), Ker Sangri with gravy, Manchurian, loki ke kofte along with option for chinese which had veg fried rice and mix veg noodles (very good) and in non-veg they had Hyderabadi Rogan Josh, Chicken Vandaloo and Chilly fish. They also had mutton biryani. The Rogan Josh was quite disappointing with too much gravy and taste which was flat. First time we experienced a bad mutton preparation at Barbeque Nation. Chicken Vandaloo was quite delicious. Apart from the taste, the look of dish was also encouraging. The wait for breads (Roti) was for around 5-6 minutes in between. By this time (around 9.30 pm) entire restaurant was packed and people were waiting outside to get in. The highlight of the evening were definitely the desserts. From fresh fruits to cakes to phirni they had all the options. Also served was Vanilla ice-cream, Daal ka halwa and gulab Jamun. All in all it was a rather disappointing experience as we were expecting the same kind of service as experienced during our previous visits. If one truly wants to enjoy the food, and starters is his choice, my suggestion is not to hold much for main course just stick with the starters which are best out here. The experience of Live Grill is very unique and interesting and one must experience it once.